Event Organizer in Noida A-ONE CATERER in Noida Sector 40 operates in diversified food catering services in Delhi & NCR especially in Noida & Ghaziabad. We Organize events such as Birthday Parties, Marriage functions Corporate Events and Many more apart from that we do party planning & catering In Noida. We are having veg and non-veg food menus which are for sure best in town along with excellent services. A-One Tent House is the best tent house in Noida Sector 40. We offer special services for Marriage function, Birthday Parties, Conferences, Cocktail, Religious Functions & other auspicious functions. Enriched experiences of 10+ years A-One Tent House have handled all kinds of events. A-One Tent House has offered history of mesmerizing fabulous food and different venues. 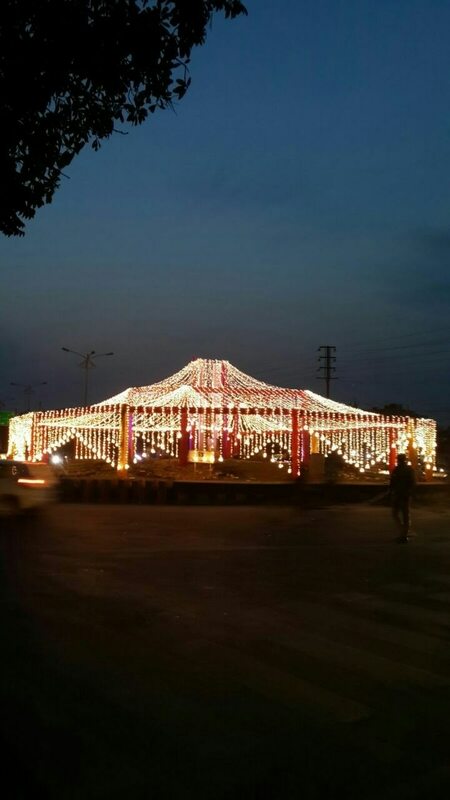 A-One Tent House gives their clients a variety in their mandaps like Ac/waterproof wedding mandaps.We provide tent and catering services to our clients with quality work. We regularly update the variety of pandals as per the requirement of our clients so that we can fulfill requirement of our each customer and provide them with the best pandal. A-One Tent House has designed the events with distinction & dedication. Light up your life, make your day colorful & remember this day, as the brightest day of your life. Contact us A-ONE CATERER & TENT DECORATOR | 9899661744 in Noida Sector 40 for the services in Noida, Greater Noida, Ghaziabad, Delhi Ncr. Complete Events Organizer in Noida, Greater Noida and Delhi Ncr. Book Your Services By A-one tent House at Noida Sector 40 and Best services for complete events organizing. Caterers and Decorators in Noida and Delhi Ncr. Venue Decorators in Noida, Greater Noida. Venue Decorators in Noida. The decoration is an art, technique and science to beautify an object or to act intended to increase the charm of a person, room, etc. The process of decoration is an art of project management to the creation and development of large scale events such as festivals, parties, concerts, or conventions. It involves studying the venue, identifying the taste of target audience and clients, driving the concept of an event and coordinating the technical aspects before actually implementing the final decoration of the event. The process of planning and coordinating in the decoration of the event include budgeting, scheduling, site selection, acquiring necessary permits and equipment for the venue, parking, transportation and parking, security, and emergency plans. Every event holds the venue decoration of every event in order to market them and build business relationships in order to raise money and celebrate the achievement. Venue Decorators are the people or professionals or give charm to every event by providing the appropriate place for a specific event to be held. We do the same process with more betterment for the client to satisfy the needs of his or her event with no compromises in quality and with no complaints. People or our clients are always satisfy with the services we offer to them especially for the venue or when it comes to the venue chosen for any event with proper suitability. The services that are provided or offer by Venue Decorators in Noida are the charm of the place, lighting, DJ, music systems, carpets, floral arrangements and much more. We Provides BEST VENUE DECORATORS IN NOIDA.